Located in the center of Romania, Sighisoara is the second city as size in Mures county. Named the Pearl of Transylvania, Sighisoara is a medieval complex built in the 12 th century and one of the few city-fortresses to be dwelled in Europe, thus discovering Sighisoara will definitely turn into a wonderful adventure for you. 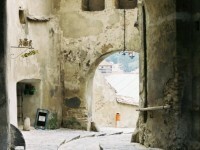 Sighisoara, the medieval capital of Romania is also recognized by UNESCO as a World Heritage Site. 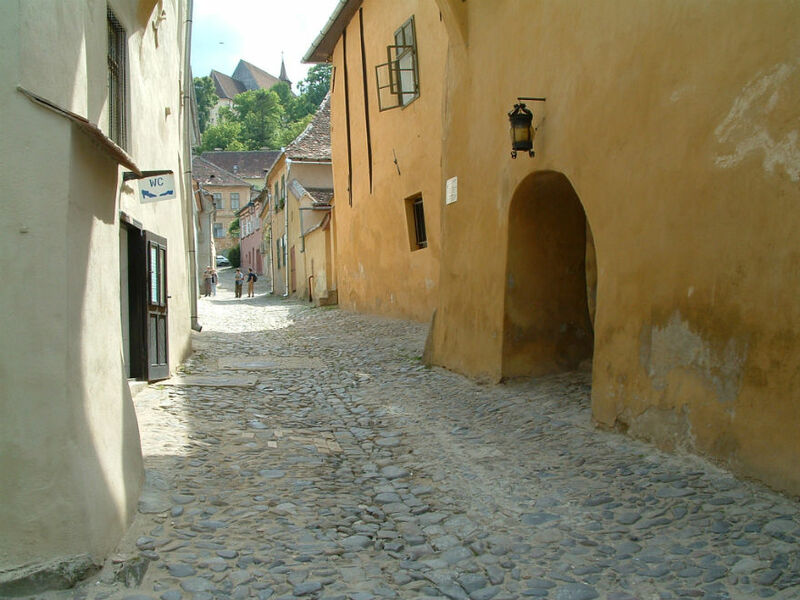 Why is Sighisoara so attractive? Sighisoara is mostly famous because of one of the most important Romanian historical personality, Vlad Tepes. You can visit the house of Vlad Tepes (the Impeller), where it is claimed that Tepes or Dracula (as he is mostly known) was born. The house hosts a restaurant too. As you will enter Sighisoara from Targu Mures you will discover the Orthodox Church, the first Romanian Christian holly place made of local stone. Another church that won the Great Price of Our Europe (Europa Noastra), awarded for restoration and consolidation and which also won EU price for heritage is the Church on the Hill. Very interesting to know is that close to the Church one can also discover the School on the Hill. In order to facilitate access to the school during winter time, a covered latter was built here. The Scholar’s Stairs has 300 stairs. 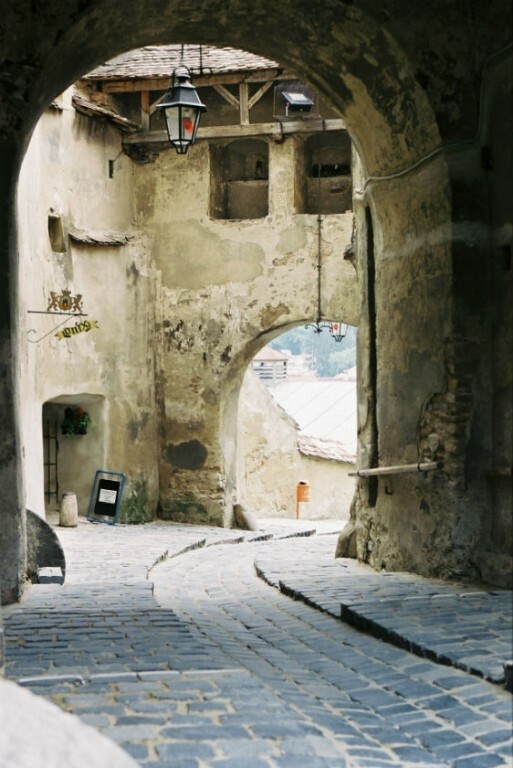 You cannot come to Sighisoara without trying to discover all the towers that guarded the fortress for centuries. I have, myself tried to find all of them, the first time I came to Sighisoara, the experience is absolutely enchanting, full of history and adventure. 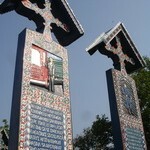 The towers are named after different craftsmen and tradesmen. 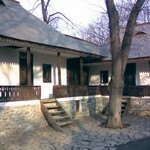 The Stag House is a recognized historical monument and must be visited. It is named this way due to the external mural painting depicting a stag in its natural size, with its head and trophy placed on the wall. Those who appreciated festivals and especially medieval festivals, should definitely place Sighisoara on their maps as every year starting with 1992, Sighisoara brings to the present its past and history, during the Medieval Festival of Sighisoara. You will have the chance to get to know local nuns, witches, knights, kings, princesses that came from a fabulous world, a world that seems to have nothing in common with our modern existence. The music, the atmosphere and the food will transport you into back to these wonderful times. Enjoy them and make the best of your stay in Sighisoara! 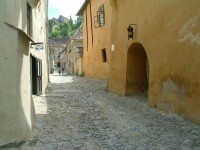 If I managed to stir your interest, then more details on discovering Sighisoara, you can find out on romaniatourism.com.